Many people have old gold jewelry in their possession and wonder what it is worth. 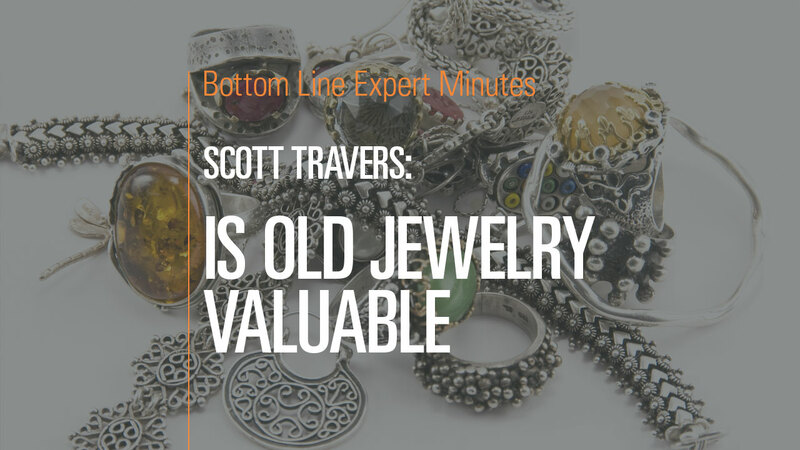 Scott Travers, gold and rare coin expert and author of The Insider’s Guide to US Coin Values, offers his expert opinion on what to do with this jewelry. First, find out the value in terms of either its metallic content or as a collectible piece of jewelry. Look for markings on the jewelry that indicate what it is made out of (such as 18 karat gold, 24 karat gold, etc.) and look for comparable pieces online to see if it is a valuable piece of jewelry (as opposed to just a gold object). Also, be sure to consult at least two vendors to make sure you are getting a fair deal. Finally, Mr. Travers suggests that people should consider holding onto the gold for insurance and barter value in an emergency.